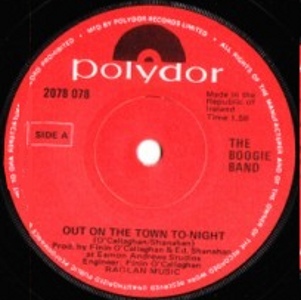 The Boogie Band was a one off studio project. In 1977 Finín O Callaghan was working in Eamon Andrews Studios in Harcourt Street and also playing bass in a popular covers trio from Raheny called Cemetery. The other members of Cemetery were Justin McCarthy (lead guitar) and Gerry Daly (drums). Finín and lyricist Eddie Shanahan wrote a radio jingle for a product called 'Miners Makeup' for an advertising agency. They approached John Woods of Polydor with the idea of recording a full length song version of the jingle and releasing it as a single in tandem with the commercial. Woods went for the idea, studio time was booked and the track was recorded on the 5th of March 1977. Finín played all instruments apart from Gerry Daly of Cemetery on drums. Total cost: £55. 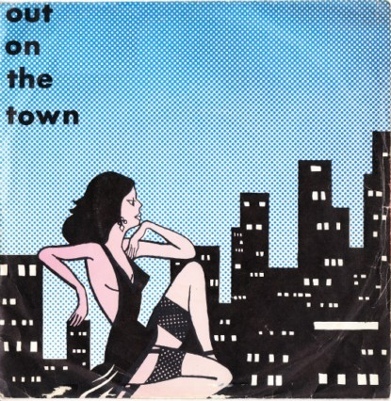 The single received reasonable airplay on RTE radio. Finín recorded a demo album of original material over subsequent months which John Woods was keen to release it as the Boogie Band's first album, but only if Finín assembled a full time band to gig and promote it. Unwilling to give up his day job, Finín declined the offer and the album remains unreleased. Finín O Callaghan is now a Television News director at RTE. Eddie Shanahan opened his own Modelling Agency, Head of Fashion in Arnotts, Dublin. Gerry Daly is a secretary to a Government department.